Virtual reality tours provide you with a 3D view of places. You move your mouse to walk from room to room according to your desires. From the front door to the bedrooms and en suite bathrooms, through the public areas and the elevator, nothing is hidden. Just click on play and you're inside the hotel. From the entrance, you can turn around, go through the doors, climb the stairs or enter a room without having to follow a set route. 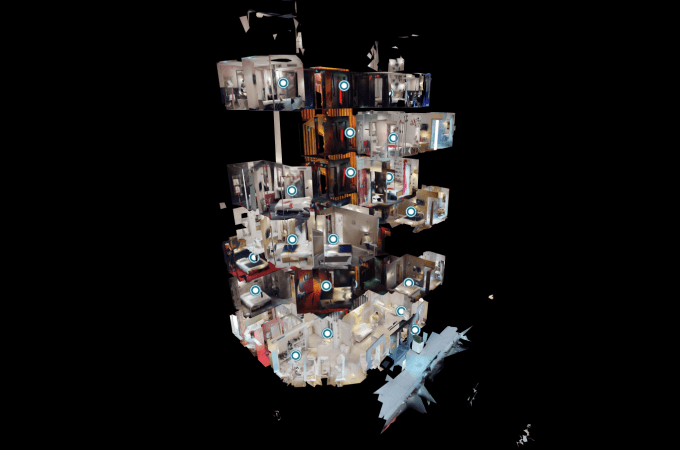 Ergonomic and intuitive, the virtual reality navigation software also allows you to directly select a floor or certain place from "dollhouse" pictures. 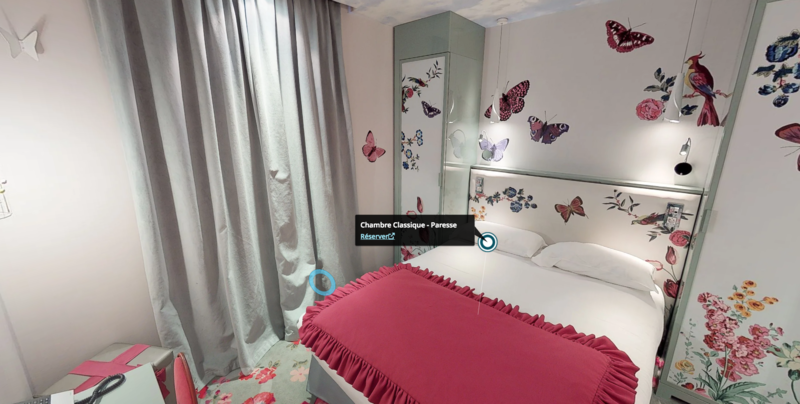 True to its policy, the Vice Versa Hotel is committed to transparency with its virtual reality. In a few clicks, you will discover the hotel's décor and general atmosphere. You can also get a feel for the size, accessibility and layout of each space. These elements can help you to specify your needs when booking and enable you to enjoy a stay that's all that you dreamed it would be. Virtual reality is not just another gadget. It's a powerful tool that invites you to really discover our hotel and soak up its spirit and atmosphere. But, since technology isn't everything, our team is at your disposal with information and details to help you plan your stay.